After a long time in the planning, the land improvement works are now complete. 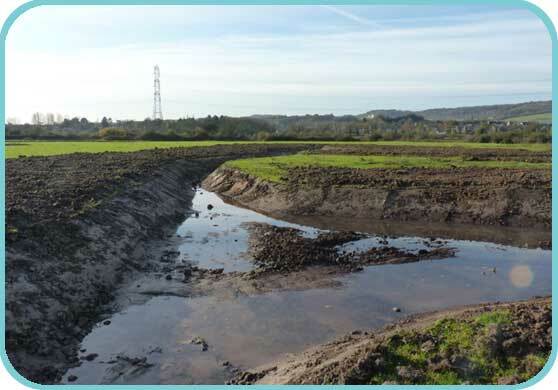 Funded by the "Valley of Visions Landscape Partnership Scheme", an exciting and complex programme that aims to make a real difference in the Medway Gap, the work at Halling includes the restoration of existing ditches, the creation of new wet areas and the installation of new sluices to provide better water level control. 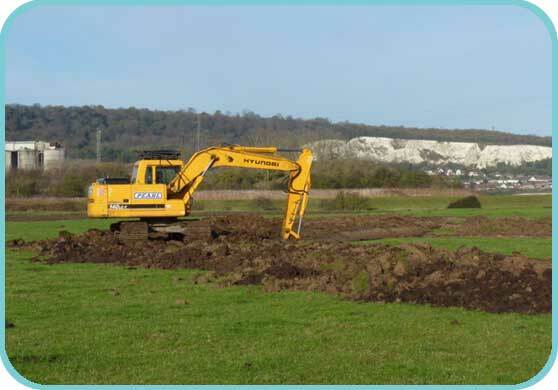 With Halling Marshes now entered into our Higher Level Stewardship agreement with Natural England, we are now set to embark on a 10-year program of habitat improvement works. The first part of this important work is now signed off. With the financial backing and support of the Valley of Visions Landscape Partnership Scheme work will commence after the breeding season in the Autumn. 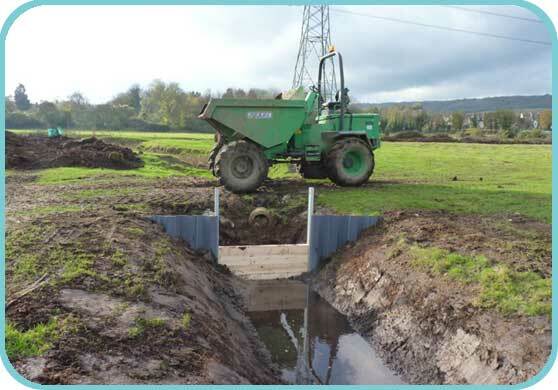 The work will include re-profiling of existing ditches, the creation of new scrapes and the installation of new sluices in order that the water levels can be better controlled. In addition to these capital works and as part of the HLS agreement we will be installing bat and bird boxes and embarking on a program of maintenance of the coastal salt marsh and ongoing maintenance of grassland for target species.